If you've had an incredible caregiver before, what are some traits in one that someone who recently sustained SCI should look for (if they get to hand-pick their own)? Certifications, personality traits, and any other factors that you think are relevant to a positive caregiving experience are welcome! Hello! 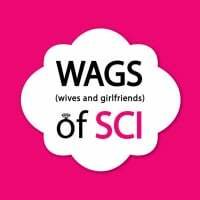 Here is some perspective coming from the Wife/Girlfriend of a man with SCI in regards to your question about the ideal caregiver. Longevity at last agency OR the time they spent in their previous caregiving role. This is so important to us because I would never want my husband to have someone caring for him who had a high turnover at their previous positions. I would look for someone who spent a decent amount of time at the same company - at least 2 years in one place or in one role. That tells you they are dedicated, want security and haven't had any major issues. I would definitely search for someone with a medical background as a certified care aid, especially if you're a higher level injury. You want someone who has been trained specifically to assist someone with a spinal cord injury, and has the certificates or license to show for it. This also shows that the person is committed to care, as they would have paid for schooling which shows they're serious. You don't necessarily need an LPN or RN.. there are many certifications for care aids that have hands on training but are not nurses. Hire someone who is physically strong. You want someone to be able to help lift him if needed, as sometimes falls happen unexpectedly. You also need to be strong to be able to use a sling and help transfer. Make sure their personality meshes with your partners (the patient) and that they get along. You want someone that will be personable and friendly, but also understand how to roll with the punches and deal with issues in a friendly way. Good luck in your search - this is definitely a process but waiting for the right one who fits with what YOU need is essential. One size does not fit all when it comes to this. Yes, it can be tricky to find the "right fit" when it comes to caregivers and yes, the process can be long but they are out there! Just keep at it!